Natural stone mosaic is an excellent stone cladding for walls and floors. Mosaics that we offer are made from natural materials such as onyx, marble, sandstone, andesite, or pebbles. 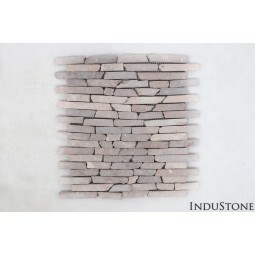 At InduStone store you will find a wide selection of handmade natural stone mosaics at attractive prices. All stone cladding are made in easy installation system. Stone Mosaic There are 122 products.